Many people try to tackle their pest problems on their own, in an attempt to save money. This is something that we would not advise, particularly if you have small pets, children or you’re pregnant. This is simply because, your knowledge and experience in pest control are likely somewhat lacking, meaning you might not use the safest possible methods. In addition to that, there’s no guarantee how much success you’re going to have. At least by going through the appropriate avenues and hiring a professional pest control service, you can guarantee that it will be done safely, efficiently and definitively. There’s no good trying to save money, only having to spend more money on trying again, and again. In addition to that, the longer your home is infested with pests, the longer your family is exposed to the dangers that those particular pests carry. And then of course, depending on the methods that you decide to use, you could be using potentially harmful and toxic solvents in an attempt to get rid of those pests. It’s quite simply not worth the risk, not for the sake of saving a bit of money. A common concern with people in need of pest control services is whether or not the treatments are going to be safe. Of course, something that is toxic enough to kill an army of pests in your home, would surely be unsafe for children and animals? Fortunately, that’s no longer the case. In fact, there are now treatments that are entirely safe for plants, animals, children, and pregnant women, so you can rest assured that no harm will come to your family. The important thing is that your home is free of pests, no matter what. So, if you have any suspicions that your home might be under siege, then you should get in contact with your local pest control company immediately. There are plenty of tell-tale signs to look out for and generally speaking when you know, you know. But how can you decide on which company to call? With so many pest control services available, how can you differentiate which are the best? You don’t want to have to spend a fortune, though at the same time you need to make sure that the treatments will be effective. And of course, you want to work with a company who pride themselves in using methods which are 100% safe to use! It’s bad enough with the potential harm that the various pests can do to your home and health, without the added dangers of toxic pest control treatment. Trust is very important, which is why you should look to hire a pest control company with a strong reputation. One of the best ways that you can handle this is by bringing up a number of different companies on the internet. You can search using various phrases, depending on the type of pest that you want to deal with. 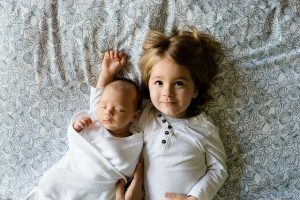 Of course, ‘child friendly’ & ‘non-toxic’ pest control in Sydney are phrases that would be worth using, – especially if you have children, pets or you’re pregnant. Following that you should short-list a few of the strong candidates that catch your eye. You should be able to get a good idea from the company’s website, what sort of business they are. A great way to find the most reputable company is to reach out to your friends and family on social media. Ask if any of them have had any dealings with your prospective pest control companies in the past. Invariably, some of your connections will have had some experience with them in the past and you can get some honest and genuine reviews. Now, you’ll likely have a few strong recommendations and you’ll make your mind up instantly. A friend’s recommendation is normally a strong one, however, that doesn’t necessarily mean that you should rush in. If you want to get the very best out of your pest control company, then get in contact with a few of your potentials and discuss your situation. How do they handle your inquiry? How knowledgeable do they appear about how to rectify your current pest problem? What are their rates, and do they offer any form of guarantee? It’s important to remember that no two situations are the same. So, while a friend of yours may have experienced success with a particular company, they could have had a very different pest problem. And of course, before making your final decision, you need to ensure that their methods are child friendly. Any reputable and reliable pest control company worth their salt will be practicing these types of treatments. This means that you will be able to confidently invite them into your home, safe in the knowledge that your children will be entirely safe. You wouldn’t want to replace one problem with another. In conclusion, despite your better instincts, try not to rush in immediately. Of course, if you have an urgent need to get rid of the pests in your home then go with your gut and give someone a call. However, if you have a bit of time to spare, have a browse through some different companies, compare and come up with the most appropriate solution for you. This can save you a bit of money and ensure that your pest control problems are eradicated once and for all. If you would like an advice or would like to explore our services further, then please feel free to get in contact with us today. We’re always happy to help and would gladly advise you on how to go about getting rid of those pesky pests!